"The Blood of Martyrs is the Seed of the Imperium…" say the holy scriptures of the Ecclesiarchy. The Imperium is founded upon death and bloodshed, and maintained only by the further sacrifices of Humanity. In the Imperium, as in any society, there are those for whom death is a way of life, and death cults of many types can be found on human worlds across the Imperium. Some are undoubtedly Chaos-influenced, unwitting pawns of men who would bargain with Khorne the Blood God. Others revel in holy slaughter, dedicating their victims' souls to Him, offering up blood sacrifices to the Emperor so that He might answer their prayers. Then there are the Death Cults that specialise in ritual murder and assassination. The art of the blade is paramount to many Death Cultists; different types of incisions, lacerations and punctures, the weapon they are inflicted with, and the body location on which they are made, all have special significance to dedicating the soul to the Emperor. Death Cultists are quite frequently cannibals and haemavores (blood drinkers). They feel purified by eating the corpses of those they've slain, stealing their enemy's prowess and soul for themselves. 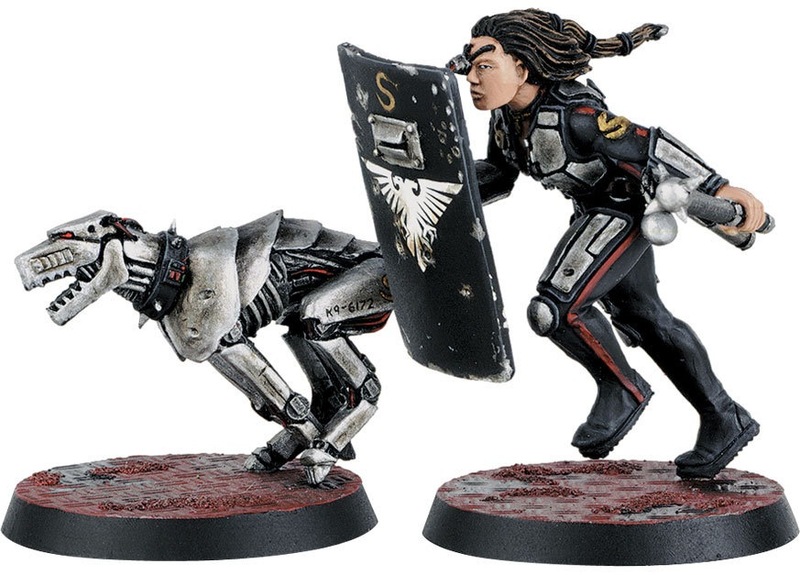 Often blood is siphoned off from the dead as offerings to the Emperor, and Death Cultists will make pilgrimages to a great Cathedral of the Ecclesiarchy to present their gifts to the Emperor. Many of the ritual weapons used and lovingly maintained by Death Cultists are highly specialised. They use all manner of blades such as knife-rings, punch-daggers, dirks, poinards, stilettos and whip-scythes to incise and lacerate. Even more fanciful and symbolic armaments include cross-shaped throwing blades, rending claws shaped like eagle talons and knives carved from the sharpened bones of the faithful or heretical. 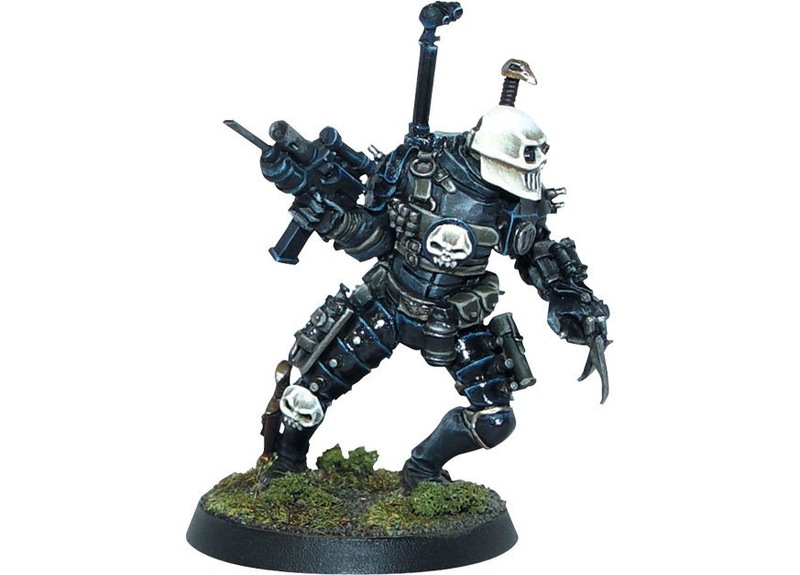 Death Cultists do not always shun ranged combat totally, and some swords and blades may incorporate mechanisms that fire flechette darts that tear flesh and smash bone, or sedative-coated needles that render their victims paralysed so they may be sacrificed later. As one might expect, Death Cultists are expert, cold-blooded killers. They can stalk their prey for hours, even days, before picking their moment. In an explosion of power and speed they leap cat-like from the shadows, blades flashing, beheading, severing limbs and disembowelling with savage grace. Unsurprisingly, these skills can make Death Cultists highly desirable companions for an Inquisitor, particularly those who'll turn a blind eye to their somewhat exotic eating habits. 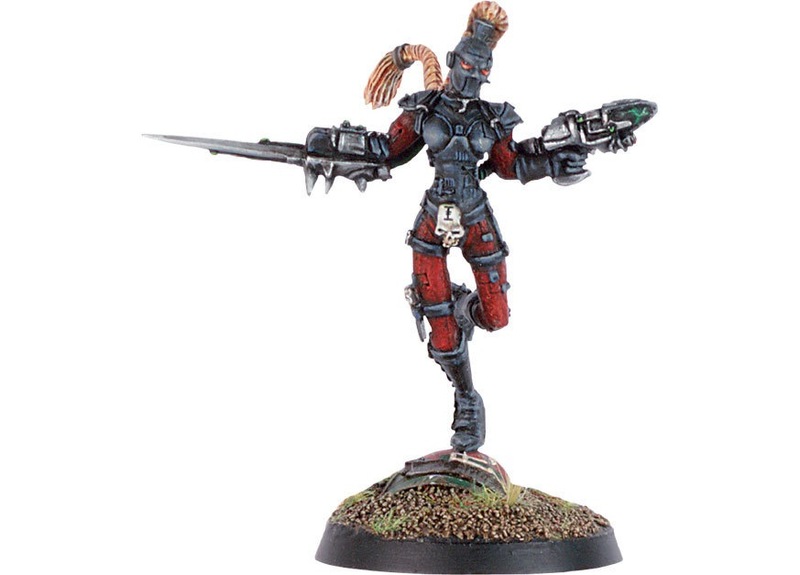 Some Inquisitors may organise Officio Assassinorum training for a Death Cultist, turning an already highly efficient killer into a deadly and honed executioner. 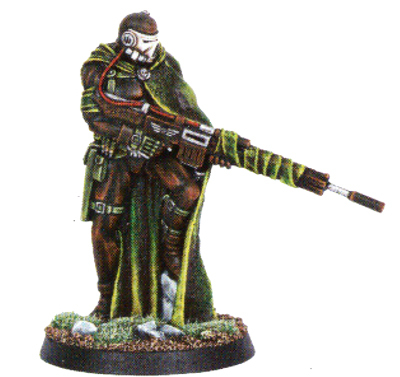 Officio Assassinorum killers are death machines, trained in one of the hidden temples to be an expert sniper, a bio-chemically-driven frenzied killer, a shapeshifter or worse. 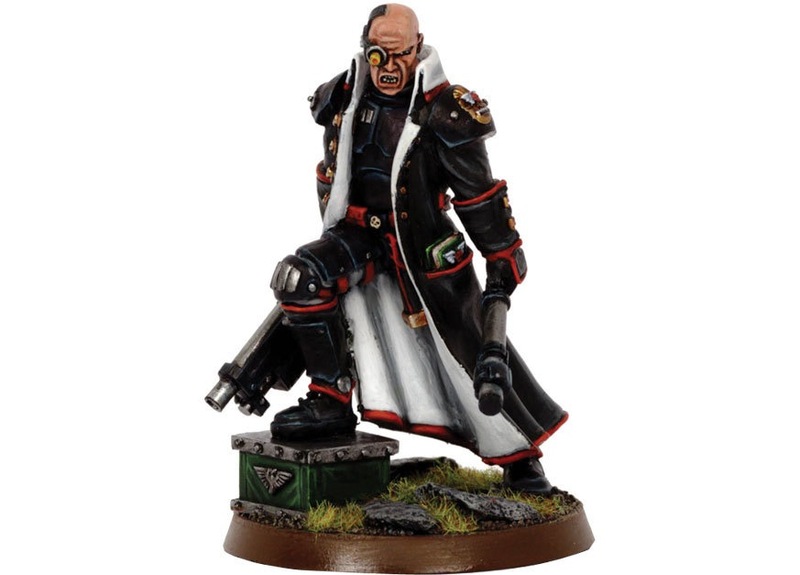 The Officio Assassinorum is almost as secretive as the Inquisition, and the two organisations work closely with one another, which is not surprising considering their roles. Equipment: Agents of the Officio Assassinorum have access to all manner of deadly equipment and there is no limitation to what they might be given. Freelance Assassins and Death Cultists are unlikely to have such resources and so wouldn't normally have Exotic or Legendary weapons and wargear. The Imperium is incredibly vast, unimaginably so. It stretches to the edges of the known galaxy, its worlds thinly spread across the stars. On many of these planets, the Emperor and the Imperium he represents are but dimly remembered myths. All too often an Imperial Commander can forget the power he serves, either through incompetence or malice. This is why the Adeptus Arbites was formed. The Judges and Arbitrators of this huge organisation serve primarily to remind Imperial servants of their duties and loyalties, and to enforce the Imperial Decrees passed by the High Lords of Terra. If a Governor ever considers skipping his tithes for a year, or perhaps ignoring the request for troops from an embattled neighbour, one glance towards the armoured courthouse of the Arbites should be enough to make him reconsider. The bulk of the Adeptus is made up of the Arbitrator enforcement officers. They are well armed and armoured, as they are often the first line of defence on a traitorous world, operating in the depths of hive cities, the shanties of mining worlds and other savage environs. If planetary control is ever lost, the Arbitrators and Judges of the Arbites are empowered to take over and rule the world in the Emperor's name until a suitable Imperial Commander can be found. Where civil unrest and crime threaten the stability of a world or the power of its ruler, the Arbitrators may be released to restore law and order. The role of everyday control and policing usually falls to local security forces, working under the orders of the Imperial Commander and his staff. Their exact function and powers will vary from world to world depending upon the nature of the Governor. Worlds ruled by an authoritarian or paranoid regime will have many military police - secret service enforcers - watchmen and patrols, while more liberal commanders may only have a private bodyguard and a standing force to repel out-and-out insurrection and rebellion. Both local forces and the Arbites can be requisitioned by an Inquisitor, but what if he cannot rely on these organisations as allies? What if he is investigating a Judge of the Arbites, or the Imperial Commander of a world? In these circumstances he can call upon the Enforcers of the Inquisition, often known as Wards or Protectors. These are recruited and armed by the Inquisition itself from amongst the most faithful and resolute peoples of the Imperium. The Wards can be brought in to enforce an Inquisitor's rulings, replacing local security forces or the Arbites, providing kill-teams and execution squads, and lending their firepower to purges and witch hunts. Many Enforcers are based upon imitations of the Wards and Arbites, and can be similar in appearance. They generally wear carapace breastplates, with padded flak armour or additional vambraces and plating. This can be highly ornate on ranking officers, often gilded and inscribed with oaths of justice and Imperial commands. The combat shotgun of the Arbites is as much a badge of office as a weapon, and the homing Executioner ammunition they sometimes use is feared across the galaxy. Although most Enforcers won't hesitate to kill, they often carry weapons to subdue foes wanted for interrogation or trial, of which the power maul is most common. Some carry devices for ensnaring foes, such as electro-net launchers and pulse-charged bolas. They make used of cyber-mastiffs for hunting down their prey, as well as grapplehawks and stingers to catch fugitives who attempt to escape. Equipment: Enforcers' equipment can vary wildly depending on who they are working for. 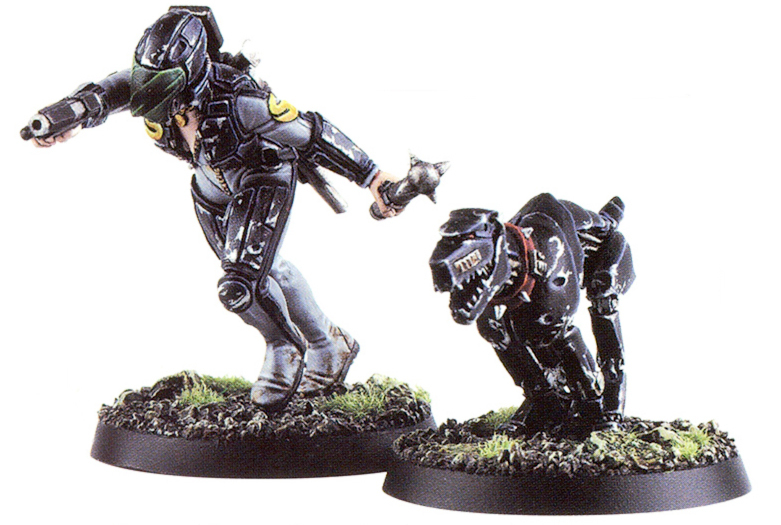 Inquisition Wards and the Adeptus Arbites are well equipped, often with Rare items, while planetary security forces will have less advanced weapons, except for specialist duties.